Thank God for President Donald Trump for going after illegals in this crazy sanctuary city’s this should be interesting to see if these cities try to defy the Federal government. 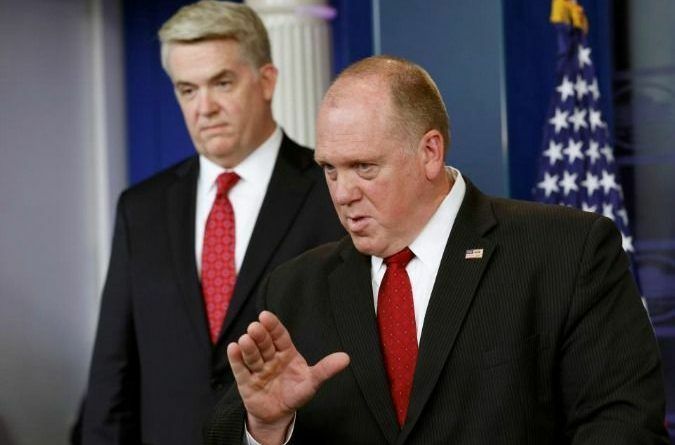 Thomas Homan, the acting director of Immigration and Customs Enforcement, said that he will be doing something that he has not been empowered to do in his 30-year career as an immigration official. The head of the U.S. government’s lead immigration enforcement agency said Tuesday that he will devote more resources to arresting criminal aliens in sanctuary cities, focusing attention on interior operations as illegal crossings at the southern border continue falling. 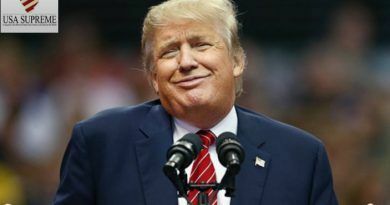 He said in an interview that since Trump entered office, illegal border crossings have crashed by almost 70 percent, “an historic low,” arrests inside the country have jumped 40 percent and that demands for illegal criminals in local jails has skyrocketed 80 percent. “You can like President Trump, not like him, like his policies, not like his policies, but one thing no one can argue with is the effect they’ve had,” said Homan, the former chief ICE enforcement boss and a 30-year immigration agency veteran. He said that the change in immigration enforcement has been radical — and welcome — under Trump. “You’d think everybody would be celebrating these policies,” he said during the 45-minute interview in his office. A key target is the 300-plus sanctuary cities and counties that do not cooperate with ICE and ignore requests that they detail criminal illegals for ICE arrest and deportation proceedings. I think they should arrest all sanctuary cities officials and deport them with the illegals treat them the same way. If they scream it violates their constitutional rights tell them they have none when they refused to obey our commander and chief. 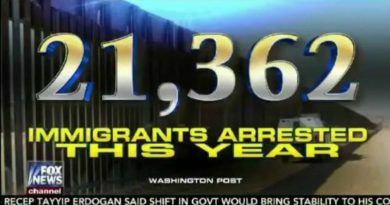 Here’s How Many DACA Recipients Are Convicted or Accused of Crimes Against Americans! The Number Will Shock You! God bless President Trump for tackling the illegals and sancuary cities problem. Let’s get these people back to their countries and off the take in our country. We should be paying down our own debt crisis before we drown in debt. Obama didn’t do our country any favors by driving​ us over the cliff with free stuff for the world hoping to SINK America. How in the world did he never get impeached? Was it because all the Socialist, Communists in this country loved everything he stood for. So guess all these people are for Communism or Socialism. Too many of them are ignorant socialists and communists who do not know nor respect history, law( both public law and constitutional law)and forms of government and culture.. They’re easily corrupted and conned by fake media, big lies, paid protests, globalism propaganda as freedoms are stolen thru deceitful treaties, broken economies, bad unconstitutional law passing through hands of liberal very corrupt/ communist/ socialist/ jihadist judges, and it is appalling to see illegal immigrants criminally entering US and on Illegal social security, billions of federal funds set up by a treasonous president n admin for 8 years plus eight more of Clintons communist undermining of American laws rights, Intel, nat sec, etc.. The traitors have not been officially investigated for more treason than I can list, but many DOJ and nt sec agents are now hot to testify re: The release and funding of irans nuclear network of 21 men flown home from jail cell service, given back $10 million plus illegal arms funds plus $190 million more from Hillarys delivery to ensure mini Hbombs for plenty ICBMS for Khomeini to threaten us and Israel with recently.. Obama flat lied n said ” no terrorists ( all!!) just businessmen and said did it so Iran would sign not to develop nukes with all these tech thieves, uranium purveyors, missle n arms buyers, etc.. The “resisters” are brainless regarding what sharia law truly says and what extreme enforcement and no more democratic constitution n reeducation as in Bangladesh country recently, means.., Germany has announced they are Muslim ( Merkel said it n said get used to it!!! Mosques have replaced churches and cathedrals (sooo many millions of criminal hijrah jihadists!) America’s federal ICE agents should ( due to nat sec and homeland security have California’s laws forbidding ICE action with criminal illegals be challenged all way up or flat ruled illegal cuz violates public law 414 chapter 2 section 212 ( McCarren and Walter Immigrstion and Nationality act voted in by massive majority both houses to protect US from Islams political overthrow of govt.by invasion by immigration Hijrah.. Intentional overthrow of govts in other lands by Islamic political groups seeking to overthrow law and all govt but Allah ( Quran in sharia) the migrants leaving homelands as “refugees” get big extra rewards in afterlife for sacrifice of leaving homeland to invade, overthrow, dread Islam to create universal caliphate, Is found old hijrah tips in ancient Arab document Jan 2016!! Sucker liberals, you keep trying to give our freedoms away, our culture, the overthrow comes fast when they infiltrate judicial, legislative, executive branches, jobs in nat sec, Intel, law enforcement, attorneys n judges, mayors and commissioners, parliament like England’s, the vetting and emergency legal measures to correct as much as possible only buys us SOME time, and all counts but I say this, Gid shall be judging actions of treason, sedition, ungodliness, unbelief, lazy souls who agree with terrorists or who are accessories to genocide, infamticide to wipe out next gen, etc and other crimes while in ignorance you do not research not learn the depth of evil, and cannot seperate lies because you do not know the truth, many even deny it.. The great global grab for power shall not be long lived historically for God Himself shall come in power with accelerating judgment and He cannot lie, the Word SHALL come to pass that though longsuffering , there comes a time ” Enough” when His fist comes down after opening the seals … People get ready for the wee window of time is finite and our words deeds ways belief testings all shall be seen by Him, it All is recorded by Him and what shall count most, ” Is your name in the Book of Life?”, eternal soul destination,” you’ve got to serve somebody, the devil or the Lord”as BOB DYLAN sings (2016 Nobel prize winner for songwriting ( first ever) Wakeup, America and people of this world, these are prophetic times daily occurring, and it’s a rough ride! 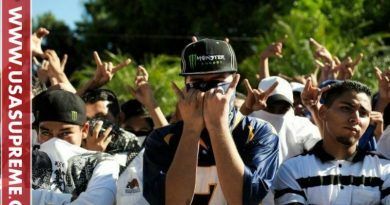 I hate these people like HOLLYWOOD California who think they are all that and a bag of chips! Go Trump and ICE!!! These scofflaw officials and illegal FELONS are in cear violation of federal statutes (i.e. 8USC1324(a)(1)(A)(i-v). GET OUT OR GET IN LINE BEHIND EVERYONE ESLE ASKING TO COME HERE LEGALLY!!!! THAT makes so much sense — common, everyday sense, that it is astounding, to say the least — now if we could manage our illustrious leader to follow suit — that, of course, cannot happen as he would wet his drawers — North America would be far better off. For trying to make America Great Again.